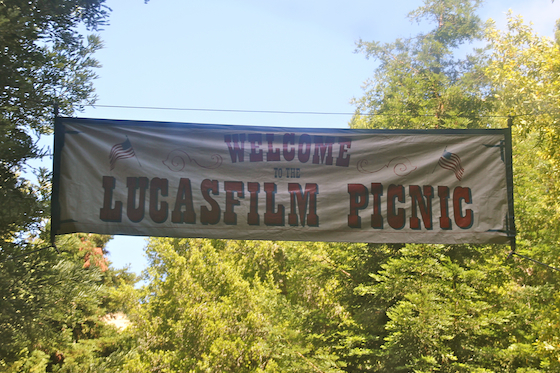 Every year, LucasFilm has an annual 4th of July family picnic, where all the employees of the LucasFilm corporation are invited to come up to the Ranch for an afternoon of swimming, hiking, games, and a barbecue. Nick has worked at ILM for over six years and every year for some reason or another, we never went (we only just had lunch up there for the first time last year!). 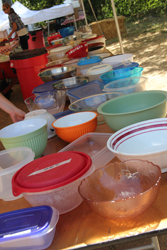 This year was the perfect excuse for us to finally go to the picnic. 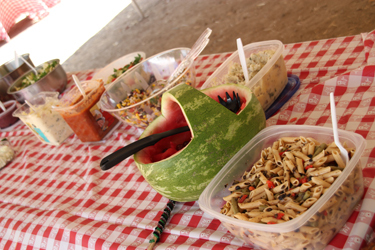 It’s a company tradition that people who attend the picnic bring a salad, and the company provides all the other food and drinks. 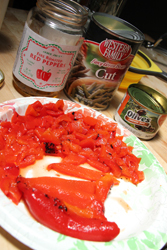 This morning, I literally threw together a pasta salad with stuff we had around the house – something I’d never really done before, either. 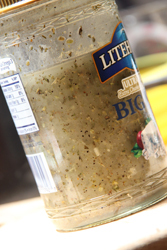 I even made a homemade dressing for it – it all turned out pretty well! The Ranch is a really beautiful place. 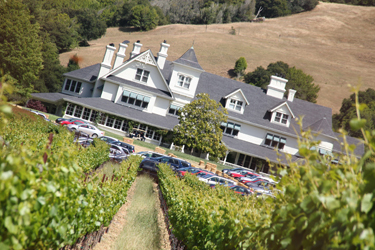 For the picnic, George basically lets everyone park in his front yard – you can see the cars between the house and the vineyard. Yes, he has a vineyard – they sell limited editions of the Jedi juice (no, that’s not what they call it, but they totally should) in the gift shop at LDAC. My wonderful husband has purchased several for me (and they’re not cheap! Limited supply, and all.). 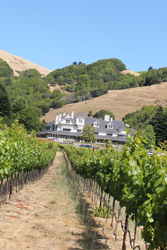 Oh and yes, that’s the main house, where Mr. Lucas actually lives and works (and allows employees to tour – very nice of him). 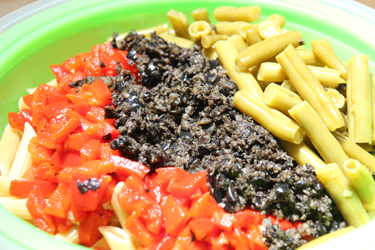 We didn’t get there in time for the family events (we had a late night last night), but they were still serving food, and we were able to add our salad to the mix. 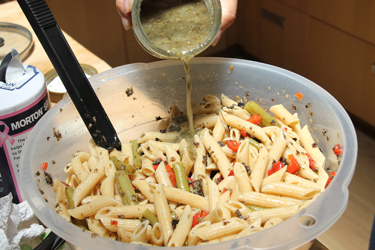 A lot of people had come through already and A LOT of people had brought salads, which is great (a friend had told Nick that from his estimation, only about 20% of the people who come actually bring something). 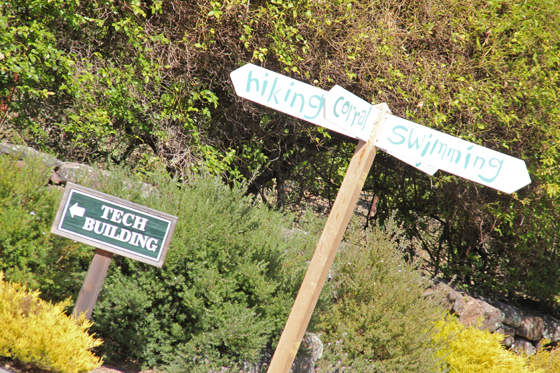 This was great – there was a directional sign made just for the picnic, with a cute hand-painted-looking font, but being the geek that I am, I just loved the fact that it was right next to the normal “Tech Building” sign. 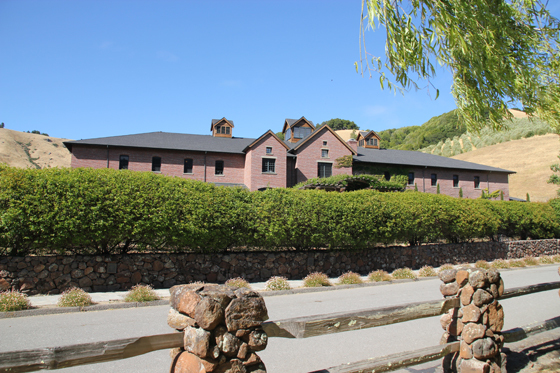 Here’s that “Tech Building” … that houses the world famous Skywalker Sound. So awesome. We had lunch and walked around, enjoyed the sun, and sat in the shade talking to friends. 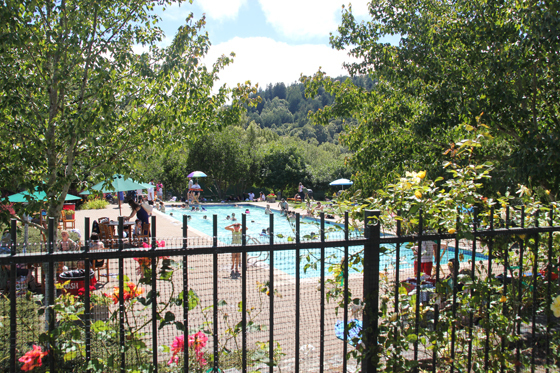 We didn’t bring our suits, but we could have even gone for a dip in the pool (awesome!). As we were headed back to our car, I heard horseshoes plodding along the roadway. 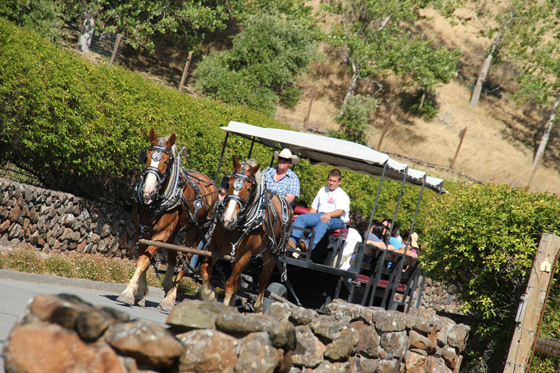 They even had horse-drawn transportation for picnic-goers. Beautiful! 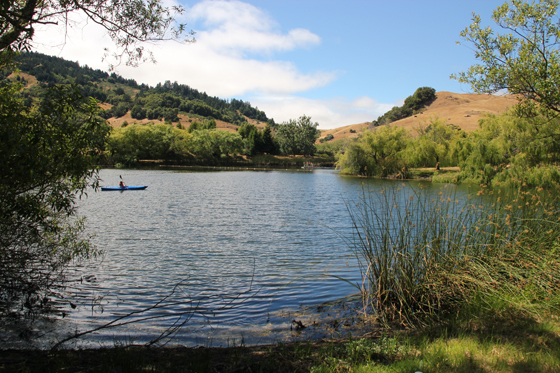 Although the Ranch is about an hour away from where we are in San Francisco, the picnic is a great event and worth the drive. If we are able to go next year, I definitely want to … but I’ll be sure we arrive when it starts to take advantage of all the fun in the sun!